This is a beautiful house with iron metal railing systems. But as you look closely you will discover that this is not your ordinary railing. 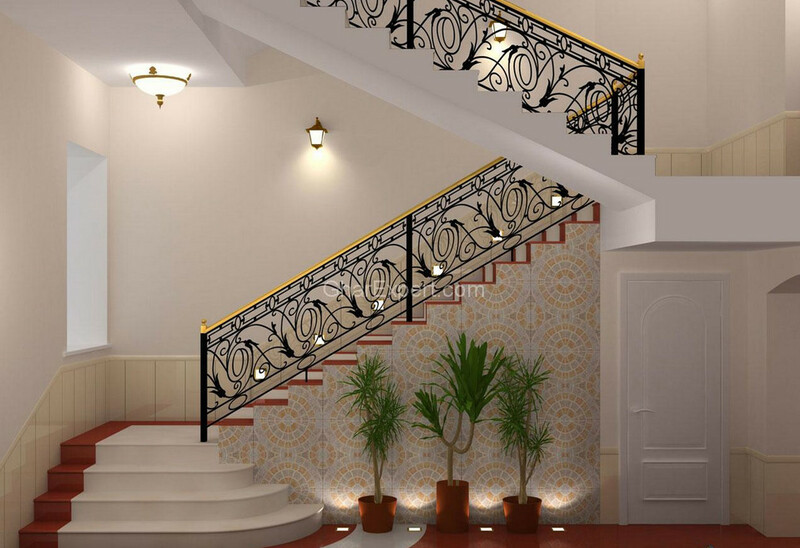 It is an ornamental railing meant for decorative purposes. You can see how the metal railing winds and spirals along the staircase. And if you have a house this classy you just can’t get enough of this railing.